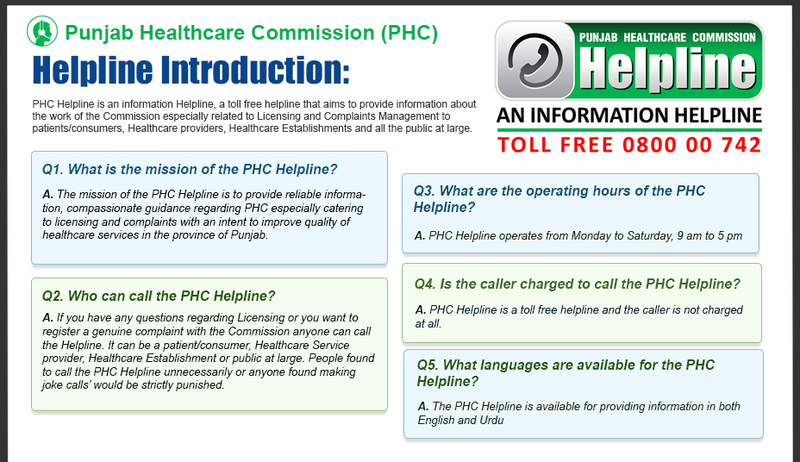 The Board of Commissioners is constituted under the PHC Act, 2010 for the general superintendence, direction and management of the Punjab Healthcare Commission. The Board is responsible for providing strategic guidance and leadership to the Commission. Prof Dr Attiya is a senior health professional and a renowned professor of Anatomy. In a career spanning over 30 years, she has served as the Head of Department, and later as Dean, at the prestigious King Edward Medical University (KEMU). She was also the Head of Department at Punjab Medical College (PMC) and the founding Principal of Gujranwala Medical College (GMC). Having held key leadership positions, Prof Dr Attiya has extensive experience in administration and governance. Currently, she is serving as Convener of the Synopsis Review Committee at the University of Health Sciences (UHS), is a Member of the Board of Studies at KEMU, and is the Chairperson of the Board of Management at GMC/District Headquarter (DHQ) Teaching Hospital. A retired Judge of the Supreme Court of Pakistan, Justice (Retd) Karamat Nazir Bhandari is considered one of the sharpest legal minds of the country. He acquired his LLB degree from University Law College in 1963. An advocate by profession, he was appointed as Judge of the Lahore High Court in 1994 and was later elevated to the Supreme Court of Pakistan in 2002. 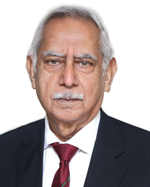 He also served as Assistant Advocate General Punjab in 1979 and held different positions at the Lahore High Court Bar Association, including Secretary of the Association in 1977 and later, as President in 1989. He is an Adjunct Professor of Law at the Pakistan College of Law, where his main areas of teaching include Constitutional Law and Civil Procedure. He is also associated with the Punjab Judicial Academy as a member of the Visiting Faculty. Educated at the University of Karachi and the Victoria University of Manchester (now the University of Manchester) United Kingdom, Ch Muhammad Ashraf belonged to the erstwhile Civil Service of Pakistan (CSP) cadre. He served as Secretary at various departments in the Punjab Government as well as the Secretariat, and was appointed Secretary Health for two terms. He retired from government service as Chief Secretary Azad Jammu and Kashmir. Since his retirement, he has, in an honorary capacity, been involved with the governing bodies of various entities in the public sector and philanthropic organizations, including Punjab Zakat Council, Punjab Local Government Commission, Evacuee Trust Property Board and National School of Public Policy; as well as several non-governmental organizations (NGOs). Mr Ghulam Muhammad Sikander has an illustrious career spanning over 35 years as a District Management Group (DMG) Officer. During this time, he served as Assistant and Deputy Commissioner at various districts in Punjab, where he significantly contributed towards social sector development. Mr Sikander served as Secretary to the Governments of Punjab and Khyber Pakhtunkhwa, heading a number of different departments and serving as Principal Secretary to five Chief Ministers of Punjab. After retiring as Federal Secretary Housing and Works Division, he is now associated with numerous welfare organizations in the public health and education sectors. He is Patron in Chief of DOST Foundation Pakistan, a Trustee of the Hamza Foundation and a Life Trustee of Marafie Foundation Pakistan. Mr Sikander holds an Masters Degree in Political Science from Punjab University and a Diploma in Development Administration from the University of Birmingham. 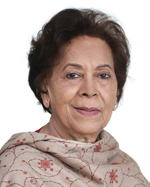 An eminent educationist of international repute, Prof Dr Mira Phailbus served as Principal at Kinnaird College for Women Lahore, an institute she was associated with for over 40 years as a faculty member. After retiring in 2004, she was appointed the honorary founding Chairperson of the Pakistan Cricket Board (Women Wing), a post she held for three years. During her tenure, the women’s cricket team qualified for the World Cricket Championship. 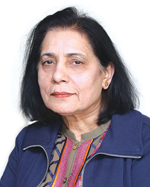 In 2013, Prof Dr Phailbus was appointed the first Ombudsperson Punjab under the Protection Against Harassment of Women at the Workplace Act 2010. 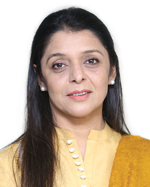 She also went on to serve as the Minister for Education and Minority Affairs in the Punjab government in 2018. She is author of ‘Kinnaird Remembered’, published in 2013 to coincide with the college’s centenary, and is currently serving on a number of university boards and committees. She is the recipient of two national awards; the Pride of Performance in 1995 and the Sitara e Imtiaz in 2005. 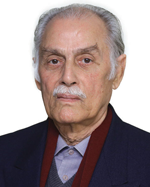 With over 55 years of experience in pediatrics and public health, Prof Dr Tariq Iqbal Bhutta is President of the Pakistan Medical and Dental Council (PMDC). 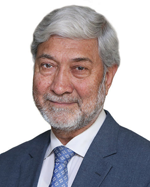 He graduated from King Edward Medical College (KEMC) in 1962 and holds an FCPS in Pediatrics (1968); DCH (London, 1970); FRCP (Edinburgh, 1994); and FRCP (Glasgow, 1996). Previously, he has served as Registrar Nishtar Hospital Multan, Senior Registrar Jinnah Postgraduate Medical Center (JPMC), Asst Prof KEMC and Prof of Pediatrics at Nishtar Medical College (NMC) and KEMC. He retired as Principal of NMC in 2000. He has been involved with various associations, including the International Pediatric Association (IPA), where he was part of the Committee on Rational Drug Use (1996-1998); the Asia Pacific Pediatric Association (APPA), where he served on the Advisory Board (1994-2000), and the Pakistan Pediatric Association (PPA), where he held the post of Secretary (1976-1978) and President (1988-1990 and 1994-1996). Furthermore, he has served the College of Physicians and Surgeons Pakistan (CPSP) as Councilor and Vice President. He has also been affiliated with the World Health Organization (WHO), serving as an advisor in the field of immunization and drug classification. For his outstanding work in the field of child health, he was awarded the Presidential Gold Medal in 1996. Well known philanthropist, Ms Fatima Fazal has dedicated her time to many charitable causes in the health and education sectors. Her philanthropic journey began in 2002, when she associated herself with Nishtar Hospital Multan. Currently, she is the Vice President of Hunar Foundation and PakArab Technical Training Institute; organizations working to equip youth with skills that help to economically empower them. She is also a Board member at charitable institutes, including Al-Mustafa Trust and Friends of Mayo, which focus on ensuring the provision of quality medical care to the masses. Her initiatives in health also include a mobile health dispensary. She has also been engaged in welfare projects in the education sector, working closely with Care Foundation Schools and Bunyaad Foundation’s Adult Literacy and Women Empowerment Program, which are working to provide education and vocational training to women in remote village. 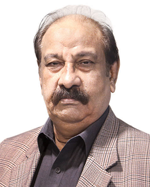 Renowned media professional and acclaimed journalist Mr Usman Yousaf has over 40 years of experience in the industry. During his career, he has held senior positions in a number of national dailies, with the longest stretch at Daily Jang. 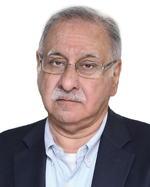 Among other notable positions, he has served as Chairman of the Editorial Committee at Daily Jang Lahore (1998-2007), Group Editor at Daily Ausaf (2007-2008) and News Editor for the Daily Jang (1981-1998), Daily Musawaat (1974-1978) and Pakistan Press International (1978-1981). He has also delivered lectures at a number of health seminars organized by various medical and health bodies, including the World Health Organization (WHO). He is currently the Group Editor at the Daily Media. 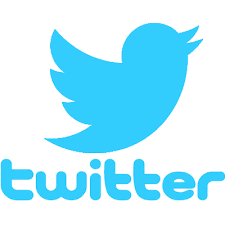 Financial expert Mr Shahzad Hussain is a graduate of the Institute of Chartered Accountants (ICAEW, UK). He is a member of the Institute of Chartered Accountants of Pakistan (ICAP), where he was elected member of its Council for a term of four years, and also served as Vice President (North), during which he chaired the ICAP’s Discipline Committee. In 1980, after briefly working at Sui Northern Gas Pipelines Limited (SNGPL), he joined AF Ferguson and Co., a member firm of the PricewaterhouseCoopers (PwC) network. In early 1990’s, he was admitted to partnership at the firm and in 2003, he was made Partner-In-Charge of the firm’s Lahore Office, where he served until his retirement in 2016. 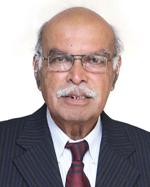 With vast experience in audit, tax practice and consultancy, he headed many assignments, including an Asian Development Bank (ADB) funded assignment for Punjab Government Resource Mobilisation, through which he acquired considerable experience in provincial government organization structures and procedures in various fields.